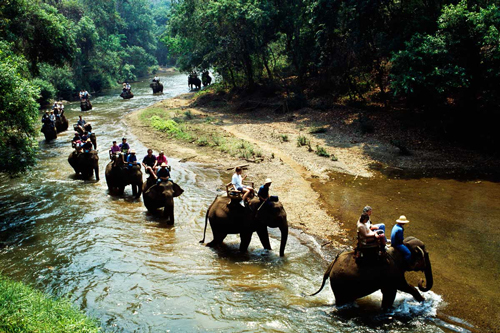 About an hour and a half away from the city, you can experience reasonably priced elephant rides, shoes, ox-cart ride, and river rafting at Mae Tang Elephant Park. The park has deep concerns on ethical treatment towards elephants so they treat their elephants right. The owners started the business as a result of the 1989 ban on Logging in Thailand which led to an increase in numbers of elephants being forced to roam the city streets and work in illegal logging trade. 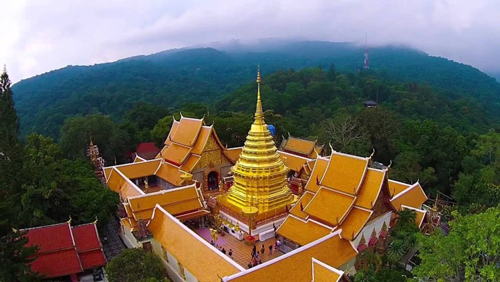 This must-see visit to the holy temple of Wat Phra That, located on the top of Doi Suthep ( Mount Suthep) is breathtaking. Doi Suthep (as locals call the temple) is built in 1383 as a Buddhist monastery. 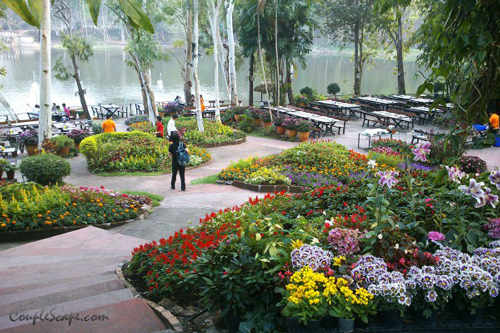 It is a 15 km drive up the winding mountain road so get ready to have an adventurous trip! When you arrive, walk up the 300 steps of the intricately carved mythical Naga Serpent Staircase. However, there is a lift service ( 1$) incase you do not fancy walking up 300 steps. This artsy cafe in Nimman Soi 7 is certainly a very charming and inviting place. 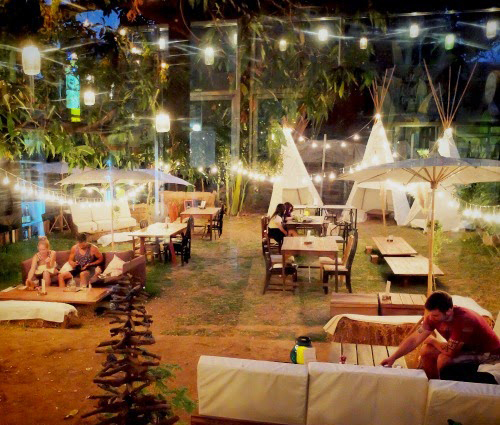 The decor is rustic and oozes warmth, especially the comfy looking sofas and teepees in its large backyard. More impressive than the façade is the menu, which is focused on local produce and all-day breakfast. We love the photogenic gluten-free chickpea crust pizza (B265), and craft beer and cocktails. Also, grab some home-grown, organic vegetables like heirloom tomato (B65/kg), baby carrots (B55/kg) and kohlrabi (B60/kg), as well as aromatic herbal teas, to take back home. 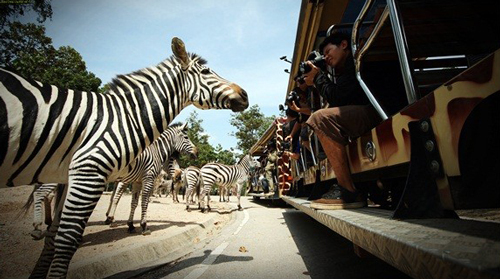 Experience Thailand’s first night safari, Chiang Mai Night Safari, and you will love it. Travel through the night safari in the 50-seat open air tram to meet elephants, giraffes, zebras, lions, Asiatic black bears, tigers, hyenas, crocodiles, and many more. Many activities are lined up, especially if you are ready to have a direct contact with the animals, including bathing elephants, feeding hippopotamus and rhino horn. Enjoy the Night Safari in 3 different zones, North Zone is a 25-minute trip with carnivorous animal (Tram with English guide depart at 20.30 and 10.10), South Zone is a 30-minute trip with animals from African savanna (Tram with English guide depart at 19.25 and 21.30), and Walking Zone which is a 1.2 km walking trail around Swan Lake. Travel: It is very easy to get there by going along Huai Kaew Road and turn left into Highway no. 121 towards Amphoe Hang Dong for about 10 kilometres then turn right and continue for other 2 kilometres.